Artillery guns from 4th Regiment Royal Artillery fire a salute in the Museum Gardens in York to mark the Queen's 88th birthday. Three 105mm light guns from the Topcliffe based regiment fired 21 rounds to mark the occasion. 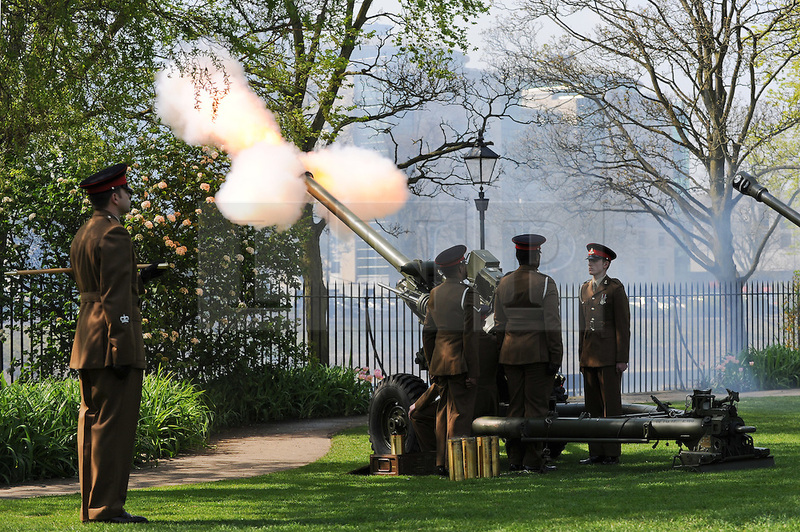 York news gun salute Museum Gardens Army 4 Regiment Royal Artillery Queen Birthday celebrations Yorkshire.